The Minneapolis Fireplace Mantel is an elegant design with fluted legs and a large trim detail along the bottom of each leg. 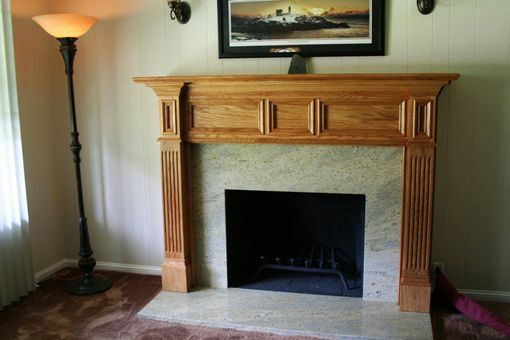 The Minneapolis Mantel is a thick and expensive looking mantel that combines structural embellishments and decorative trim pieces. A special detail on the Minneapolis Mantel is the egg and dart moulding used along the bottom edge of the header. This subtle decorative touch gives this mantel a sort of unique styling as not many other mantels incorporate this egg and dart look. 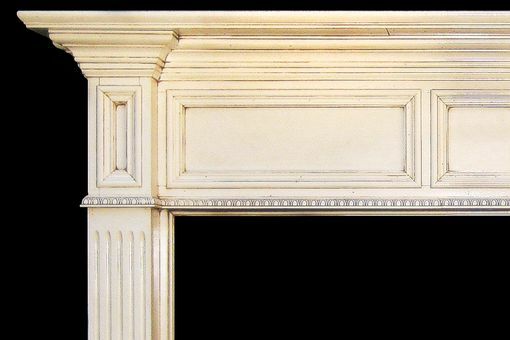 Essentially, the Minneapolis Mantel is the a cousin of our Blaine Mantel, only that we have added fluted legs instead of paneled legs, and we have upgraded the moulding in the header to the delicate egg and dart style.